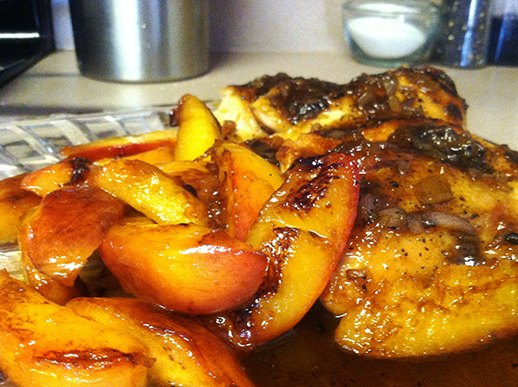 Chicken and peaches is a classic “country” dish, and I thought… why not replace the peaches with nectarines? Have you ever lost something important, torn apart your house to find it, and then had to give up in despair thinking you’d lost it for good. You’re mad because you don’t want to buy a new one but it’s something you need… or at least use often?? That was my past five days. I lost, I searched, I despaired. However, this story has a happy ending… I found my lost something!! This is especially exciting for me, because usually the item I lost is never found and I’m always left wondering if it grew legs and walked away of its own accord somehow. What was my precious lost item? None other than my camera card. I store all my Apples to Ziti and family photos on it. Nothing like a lost camera card to put a food blog at a stand still. All that cooking, all those pictures, all that time… I was so sad to report that we would have no final “E is for Egg” recipe and just a couple (if any) “F” recipes. But I don’t have to report that! 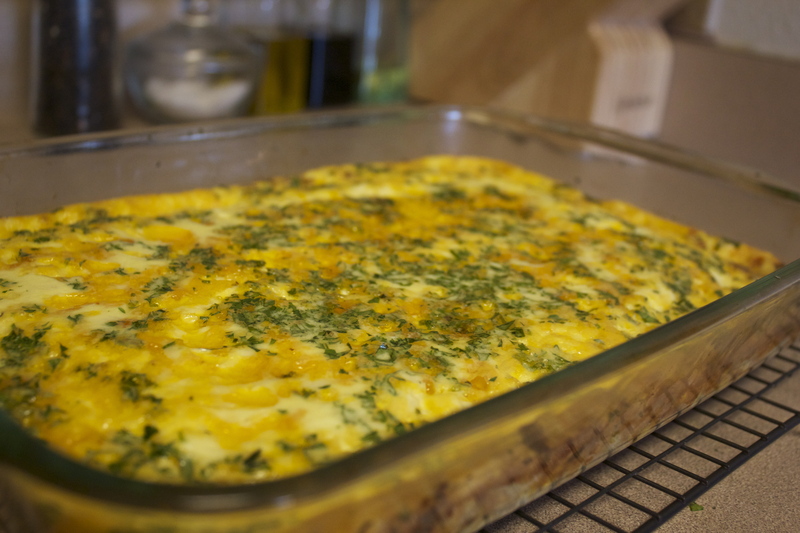 I couldn’t finish a series of recipes on eggs without including an egg casserole… classic and usually budget-friendly!